Enjoy Your Outdoor Living Space All Year – Add An Outdoor Fireplace! You don’t have to hibernate indoors at the first sign of cooler weather – with an outdoor fireplace, you can enjoy nights under the stars all year long! Whatever the style or size of your outdoor living space, we’ve got an outdoor fireplace that can meet your needs. 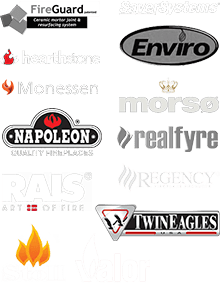 We carry Monessen and FireRock — two of the best names in the industry – but we also create custom outdoor fireplaces. Just let us know what you’re looking for and we’ll help you every step of the way. Stop by our showroom to see our featured outdoor fireplaces – you can also talk to one of our team members about your options by calling 812-284-0123!  If you need a little extra heat and a lot of ambiance in a specific area of your home, consider the advantages of a pellet stove. You can enjoy this wood-burning appliance with less effort.